Raise your hand if you have curly hair. Me too! Whilst we all love our curls, picking products that work for them isn’t always the easiest thing to do. What a lot of curly girls (also known as naturals) fail to realise is that choosing hair products is a very personal thing. There are several factors that need to be taken into consideration when picking curly hair products for your hair. Your hair texture- is the product you’re considering, designed to meet the needs of curls? Are your textures mixed? What I mean by this is- do you (like most curly girls) have more than one hair texture. I know I have. For instance, the front of my hair is sort of wavy-meets-afro whilst the middle is super afro textured. The back is loosely wavy. My hair has three very different textures and I always take that into consideration when making products for my curly-haired customers. Another factor to consider is what’s in your hair products. This is a big one. So many products are filled with harsh chemicals that strip curly hair of moisture and make it dry, brittle and prone to split ends. Make sure you do your research and pick products with healthy, natural ingredients. The final factor to consider is how much time you have. We’re all living increasingly busy lives so finding time to mix up your own concoctions can be really time and energy consuming. Many busy women simply want to use products that are easy to use and can be carried any where. 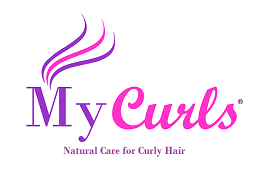 That’s why when creating the My Curls range, I deliberately ensured that the products in the line were easy to use, portable and lifestyle friendly. As a busy bee, you’re probably wanting to learn more about your hair in short bursts of time. I highly recommend signing up to our curly community which is totally free and takes about 2 minutes to do. We send free educational resources straight to your inbox so you don’t have to read through hundreds of articles. Click here to join the list!